BW Club House Where Are We? If you would like to dip your toes (or fingers!) in the art of modern script calligraphy, this is a good place to start! The class is perfect for those who have not held a calligraphy pen before. What exactly modern, pointed pen calligraphy and its origins is all about, proper handling of the pen and other tools; assembly of the dip pen and nib, hand and pen position for modern calligraphy. We will go over the basics and everything you need to know to get started and wrap up the class with a little bit of writing so you can continue practicing at home. 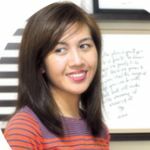 Pauline Ibarra of the Happy Hands Project is a lettering artist and calligrapher here in Singapore. 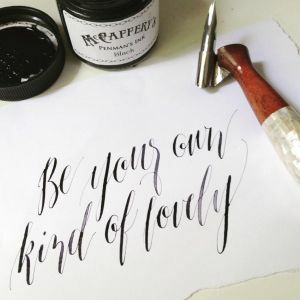 With a background in Fine Arts and Graphic Design, she keeps herself busy teaching modern calligraphy workshops and writing calligraphy for professional logos, wedding stationery and wall art. She has always been a lover of typography, handmade art and stationery. The featured image is borrowed and edited, with thanks, from Pauline Ibarra under a Creative Commons license.